Before we get to the elephant in the room, I am SO excited this week that I can actually talk about the Rams and not just sound like a homer! The rest of the sports world is talking about Sunday’s game, so I will follow suit. Last week I proclaimed that there were 2 ways to beat the Seahawks, either a strong run game or controlling the clock. Let’s add an incredibly accurate passing game, and pulling trick plays like crazy! Austin Davis was a cool 18-21 on Sunday which is hard to beat. To the plays everybody is talking about: First, how does one run a trick play when the other team has the ball?!?! The punt return was genius and the entire Seattle team fell for it, running to a floundering Tavon Austin who was on the opposite side of where the ball actually went. Also nice job by Stedman Bailey to run down the punt from the line of scrimmage! The fake punt with 2:55 left was also one of the gutsiest calls I’ve ever seen. Miss that play and Seattle wins the game. 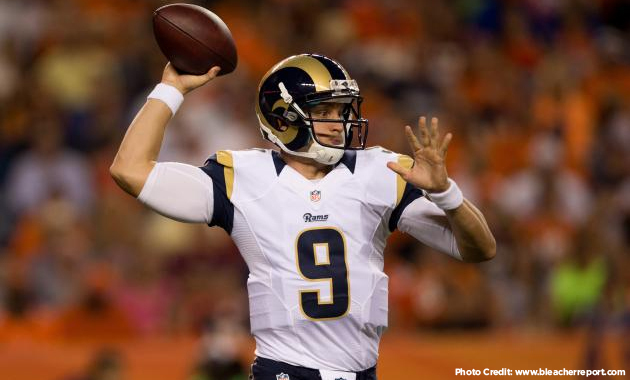 Love seeing Brett Favre say that Austin Davis could be the next Kurt Warner or Tom Brady. I haven’t crowned him yet, but I’m still drinking the Kool-Aid! By now everybody’s heard enough about Peyton Manning’s 509. But this is truly a once in a decade type of accomplishment. Marino broke it in 1995, Favre in 2007, and now Manning in 2014. We all just witnessed history, and with the numbers continuing to skyrocket, the odds of a QB playing this many years at such a high level is going to become increasingly difficult. Congrats Peyton! Amidst the shuffle, DeMarco Murray is slowly putting up incredible numbers as well. On Sunday, he became the first RB in NFL history to run for 100 yards in his first 7 games. Hard to believe, but he just took down another Jim Brown record, and yet he’s still not quite on pace to break Dickerson’s record. Could be interesting to see how this turns out, as RB’s tend to do better at the tail end of the year with defenses tiring down. Yet Jason Garrett has had to fuel “pitch count” questions due to the amount of time he gives Murray the ball.